FEVERS Media - figure skating forum - [FEVERSmedia] Check out YuNaTube on Android Market! Android 마켓의 YuNaTube - 연아플레이어 앱을 소개합니다! [FEVERSmedia] Check out YuNaTube on Android Market! Android 마켓의 YuNaTube - 연아플레이어 앱을 소개합니다! 연아튜브는 올림픽 챔피언 김연아 선수의 경기, 아이스쇼, 광고, 인터뷰 등 다양한 영상자료들을 집대성한 안드로이드 기반 모바일 기기 전용 유튜브 플레이어 입니다. 대부분의 영상들은 김연아선수의 공식 유튜브 채널에서 연결되며 앞으로 다양한 자료들이 계속 업데이트 될 것입니다. 이제 김연아선수의 환상적인 세계를 연아튜브와 함께 하세요! 한글 버전은 추후 업데이트될 예정입니다. YuNaTube is a fan-made Youtube player dedicated to Olympic Champion YuNa Kim's competitive skating, ice shows, interviews, commercials, etc. 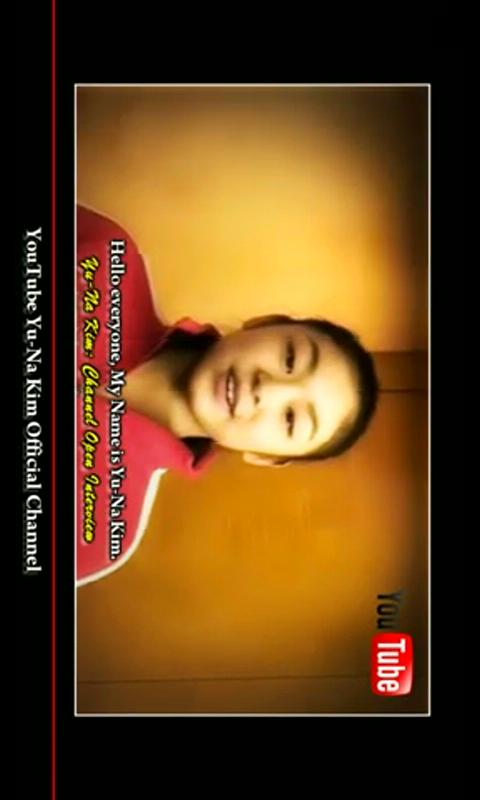 Movie clips are from YuNa Kim's official youtube channel. Now, explore the Olympic Champion's amazing world with YuNaTube!